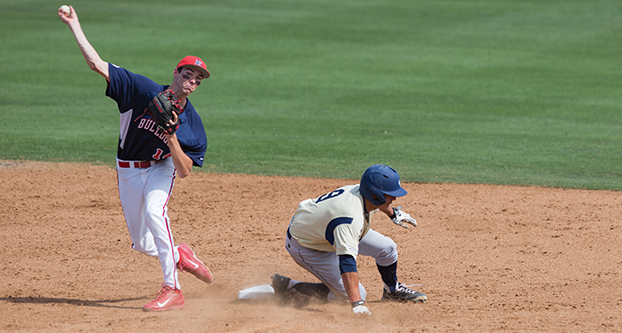 The Fresno State baseball team went 1-2 in its series against the Air Force Falcons. 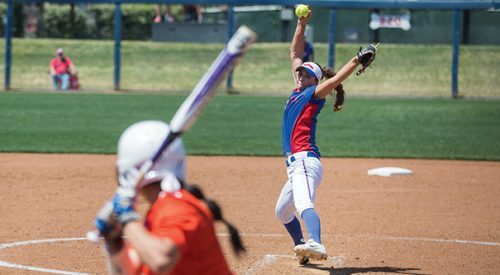 The ‘Dogs lost the first two games by scores of 2-1 and 10-1 respectively, but won the last game 6-5. Bulldog pitcher Jake Shull made the start on the mound for the first game of a weather-induced double-header Saturday. Shull allowed two earned runs on five hits in his second start, but it wasn’t enough, as Air Force starting pitcher Griffin Jax gave up one run on seven hits. Joe Prior scored the only run for Fresno State in the top of the sixth inning, hitting a double, getting to third-base on an Aaron Arruda ground-out and then scoring off a passed ball. Kenny Corey had team-high two hits in the game. The Falcons were able to end the game in a walk-off when Shull’s first pitch in the bottom of the ninth was hit over the left field fence by Spencer Draws. Sophomore ‘Dogs pitcher Jimmy Lambert started in the second game of a doubleheader, giving up nine runs (seven of them earned) in a losing effort to the Falcons. Lambert surrendered 11 hits and four walkouts while only recording one strikeout in 6.2 innings pitched. The score was close at 4-1 until the seventh inning, when a five-run inning by Air Force put the game out of reach. Manny Argomaniz scored Fresno State’s only run of the second half off of Arruda’s infield single. Five different pitchers made an appearance for Fresno State: Tim Borst, Anthony Arias, Mark Reece, Dylan Lee and Garrett Mundell.Borst gave up four earned runs in the game, while Arias gave up the other earned run. Arias and Mundell lasted the longest on the mound, with 4.1 and 2.2 innings pitched respectively. The ‘Dogs bats came around for the first time over the weekend, igniting for 10 hits and five runs in the contest. The ‘Dogs got huge games from Taylor Tempel — three hits and three runs — and a three-hit, five-RBI performance by Argomaniz. Catcher Tyler Ward was able to score two runs on a one-hit performance, with two stolen bases to go along with it. The win marks just the third win in 16 games played away from home. Fresno State is now 19-21 overall and 10-8 in conference play. The Bulldogs will be back in action this Tuesday on the road against Sacramento State.